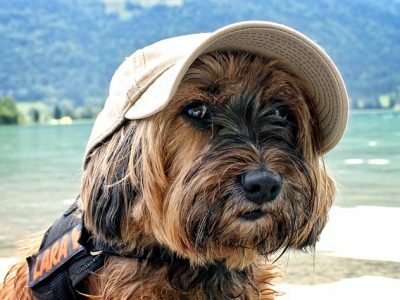 How do I get a Passport for my pet? This fact sheet is intended as an overview of the information available on the DEFRA website. You are advised to check the DEFRA website for more detailed fact sheets and to ensure that nothing has changed before travelling. We cannot accept any responsibility for any incorrect information on this sheet. 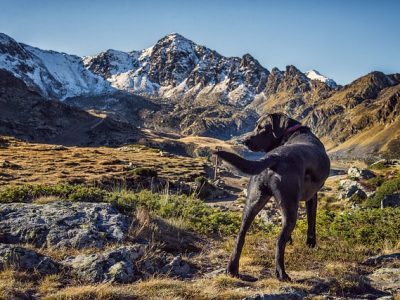 It is the owners’ responsibility to make sure they meet the requirements for their pet to travel and not the Veterinary Surgeons. Pet passports allow dogs and cats to travel to and from the UK, from countries within the EU and certain other non-EU countries (see list of countries at the end of this sheet). It also permits travel between EU countries. Your animal should be a good traveller and in a healthy condition if you intend to travel long distances. They will be exposed to diseases that we don’t have in the UK so get advice about the risks and how to minimize them. There are a number of costs to take into account to cover rabies vaccination, microchip and passport. Further cost includes flea and possibly tick treatment before retuning each time to the UK, booster vaccinations (every 3 years) and carrier costs (ferries, planes and trains). For travelling outside of the EU and non-EU listed countries, blood tests for rabies is required and possibly numerous other conditions. Below is a list of the steps involved in getting a passport for your pet. We advise you research this yourself in more detail if you intend to visit a country that is not in the EU or on the list of non-EU countries. The first step is to microchip your animal (if not done already), and then vaccinate them against rabies. This can be done from 12 weeks of age. If you plan to return to the UK from an EU or non EU listed country, then you can return to the UK 21days after vaccination. Providing boosters are kept up to date, there is no waiting period for subsequent entries into the UK. If you plan to return to the UK from an unlisted non EU country then a blood test is required at least 30 days after the rabies vaccine was given. This is to check that the rabies vaccine is providing adequate protection from the virus. Re-entry is then not permitted until 3 calendar months from when the blood test was taken by a vet which produced a satisfactory test result. The results can take 4 weeks to come back so make sure you leave plenty of time in case re-vaccination is required due to a failed result. A blood test is not required for dogs and cats not planning to come back to the UK (if you are unsure if you are returning, it is advisable to get the blood test done just incase). Very occasionally some animals will fail the blood test and will have to under go steps 1 and 2 again at additional cost. A passport can be issued once the blood sample results have been returned, or after the vaccination if no blood sample is required. There are several requirements that need to be met once the passport has been issued. Tick prevention is highly recommended but no longer required. Worming treatment must be given by a Veterinary Surgeon 24 – 48 hours prior to returning to the UK. Rabies boosters will need to be carried out as required (currently every 3 years with the vaccine we use). As long as the booster is given before the due date, there is no need to repeat the blood test. The vaccine cannot be a single day overdue. Some countries will have other requirements that need to be fulfilled before you can travel to them. Please always check with DEFRA. There are only certain allowed routes that pets can be taken on when travelling between countries. A full list can be found on the DEFRA website. If animals are being transported by plane they will usually have to be checked by a Vet to ensure they are fit for transport within a few days of leaving. There will also be rules on what types of cages can be used. Please check with the airline.